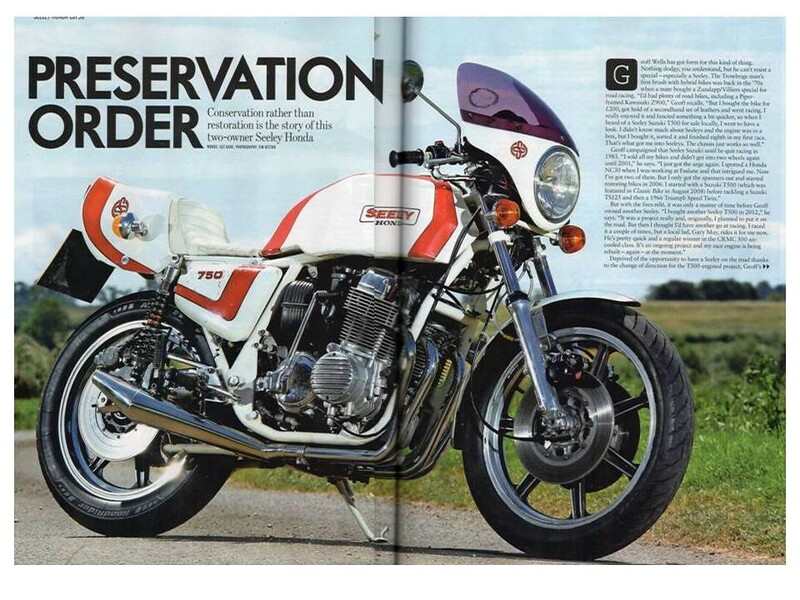 A feature on my Seeley Honda 750 was published in the October Classic Bike magazine. A good write up from Gez Kane. Colin Seeley confirms that only 6 bikes were "factory" built by CSRD so it makes my bike a pretty rare example. Good article. I rode one of those beasts at Phillip Island many years ago as a "travelling marshall". It was amazingly fast down that long main straight. I didn't realize they had sold so few of them though. I total of 302 frame kits were produced but only six of them were actually built at the Seeley factory using a new CB750 as a doner bike. My machine was the bike that Seeley featured on the Avon stand at the 1977 bike show. 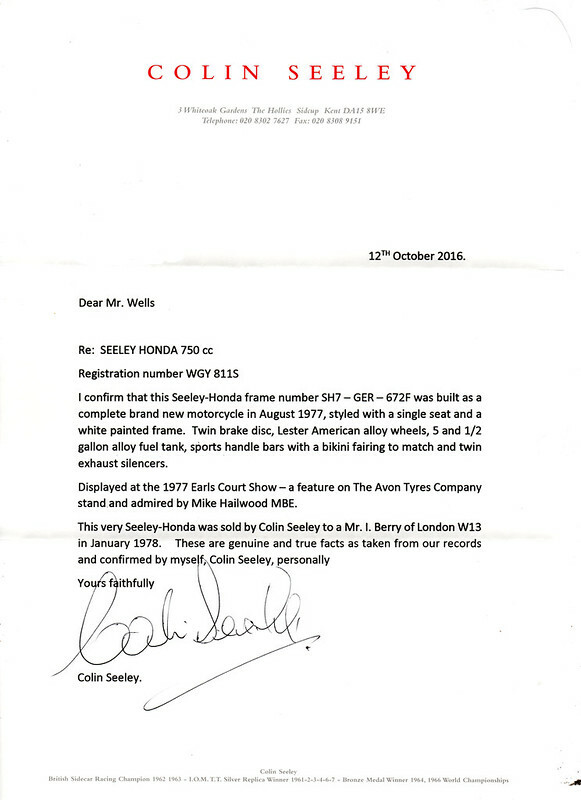 Colin Seeley has also provided me with a letter of authentication from his records. C.S. Did made a few frames for the GT/TR motor as ridden by a certain young Mr. Sheene back in the day. Did anyone turn one in to a street bike by any chance? There were pictures of a red one with Barton parts on it floating around a few years ago. As you probably have noticed I have a Seeley T500 replica I will have to enquire with Mr Seeley how many frames he made for the T500 and GT750. When I first bought my replica frame it was with the intention of putting together a really unique road going 500, and then I thought I could relive my sporting youth by going racing instead. I found I wasn't up for racing any more, I did not have that "desire" to push it. It may well end up as a road bike when I have finished (i.e. run out of funds ) playing racers with my rider (Gary May).